John Krasinski says that A Quiet Place 2 won’t be a typical sequel. 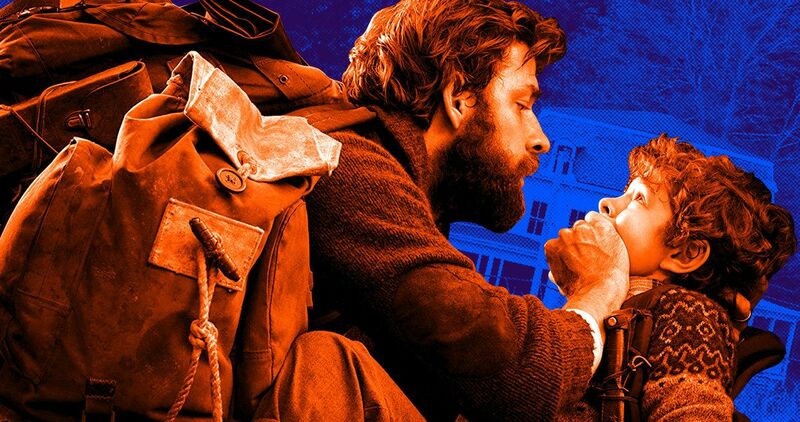 A Quiet Place came out of nowhere to become a huge hit at the box office and received near-universal critical acclaim in the process, with many hailing it as one of the best movies of 2018. Krasinski, who wrote and directed the unconventional horror movie, knew that the studio was going to ask for a sequel, but he wasn’t interested at the time. He gave them his blessing to continue on without him. However, he later changed his mind with the help of his wife Emily Blunt. As for returning to make A Quiet Place 2, John Krasinski took a while before he decided to hop back on board. After giving the studio his permission, they started to ask him questions about how he would approach making the sequel if he were still involved. Krasinski started to think of ideas that would be respectful to the first installment as well as the audience who will be paying to see the new movie. After the studio asked for more ideas, Krasinski started to get sucked into the project. After writing his ideas for the studio to hand over to potential filmmakers, John Krasinski offered to come back for A Quiet Place 2. In a new interview, the writer/director/actor went into detail about how the sequel will be different from other sequels, and it sounds like it could be radically different. Krasinski had this to say about his approach for A Quiet Place 2. As John Krasinski started to explore more ideas for A Quiet Place 2, he started to get more excited about what the project can be and thinking about the different parameters that he has to work within. Now, Krasinski says that it’s not a sequel, which is similar to what Patty Jenkins said about working on Wonder Woman 1984. But, it’s beginning to sound like Krasinski might explore the world of A Quiet Place without revisiting the same characters. He explains. John Krasinski is going to keep his A Quiet Place 2 plans to himself for now, but it’s cool to see how excited he is to be working on it after not wanting to have anything to do with it. In the end, it’s going to be exciting to see what he came up with that makes this sequel different from the traditional idea of a second movie. The good news is that the sequel is happening, the bad news is that it’s not coming out until 2020, so there’s a lot of time to speculate about what or who will be in the movie. Collider was the first to report on John Krasinski’s A Quiet Place 2 ideas.